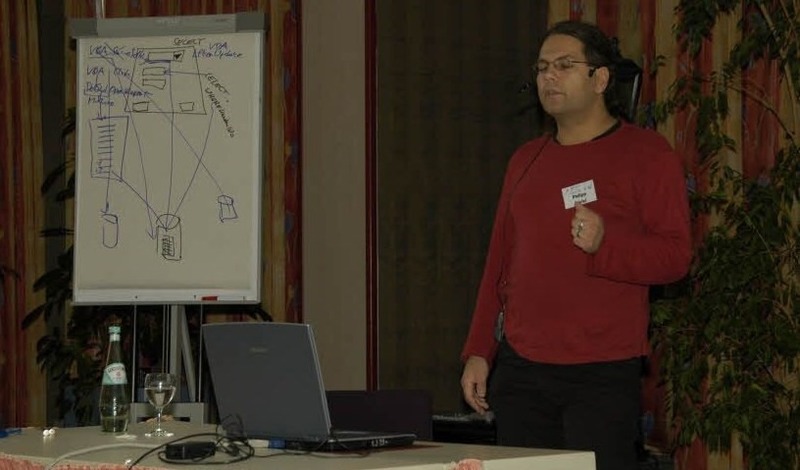 Yesterday I had my first talk about source code control and Ivercy at the AEK developer conference in Nuremberg. It was a joined presentation with my competitor Bernd Gilles. Our main focus was proposing the use of source code control in Microsoft Access in general and to show our competing products. Considering our preparation for the joined talk was very limited and rather focused on creating and structuring the content than on coordinating our joined talk, it went very well today. We received lots of positive feedback afterwards. Thank you guys! Later that day there was the very first “KleinMesseLoungeartig” (™ by Karl, SmallFairLoungeish) where some of the speakers were available for extended Q&A-sessions or showing additional demos. Food and drink was included in the attendance fee. This new part of the AEK was very well received and an audience of about 50 people was attending. I was showing lots of additional details and features of Ivercy and was answering lots of good questions. Some questions about Ivercy, I did not really expect and hence never tried out how Ivercy would behave in those scenarios. I was actually surprised that there was no real problem. Even temporary, unexpected offline use (simulated by pulling the Ethernet cable) was handled very well by Ivercy. Thanks a lot to the AEK organizer Karl Donaubauer for organizing the conference and inviting us to talk there.